This is a test I�ve done to check the performance of Actionscript 2.0 and try to create a basic swarm intelligence. When time comes I�ll maybe switch to AS 3.0 and add the behaviors I havn�t included yet. But AS 2.0 is too slow for a propper swarm sice. Thats why I�m stuck atm. So give me some time :). I�ve created different flash webpages over the time. 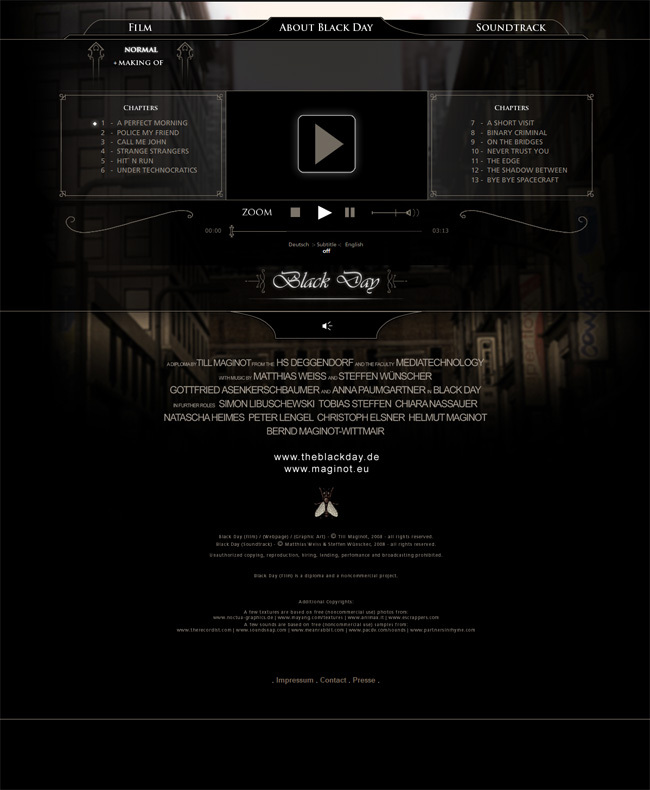 My last and most complex work is the Black Day webpage for my final study project. It�s managing the dynamic video file jumping/loading, staged loading procedure of the whole site, includes a music player and different scripted animations.